A scrappy, fun-to-make queen-sized quilt! Gorgeous with beautiful jewel-toned fall fabrics and various light background bits and pieces, but fabulous in other colorways, too. 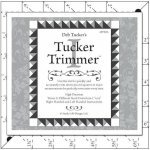 The stars are easy to make using the Tucker Trimmer 1 tool. This nifty tool helps quilters to make each star unit perfectly, and all the stars will have great points. Uses scraps and a focus fabric. 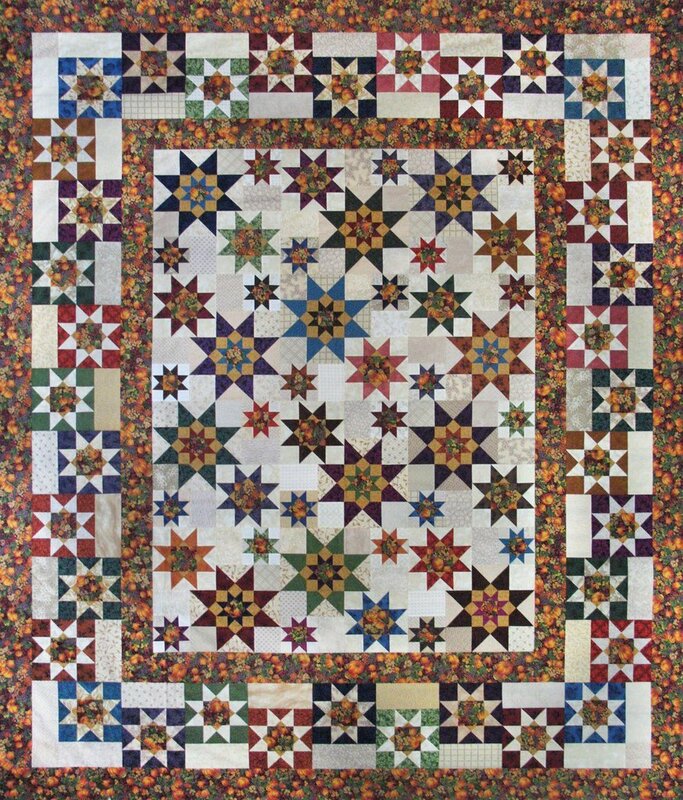 Block Sizes: 5", 8-1/2", and 12"
Quilt size: 93" x 110"